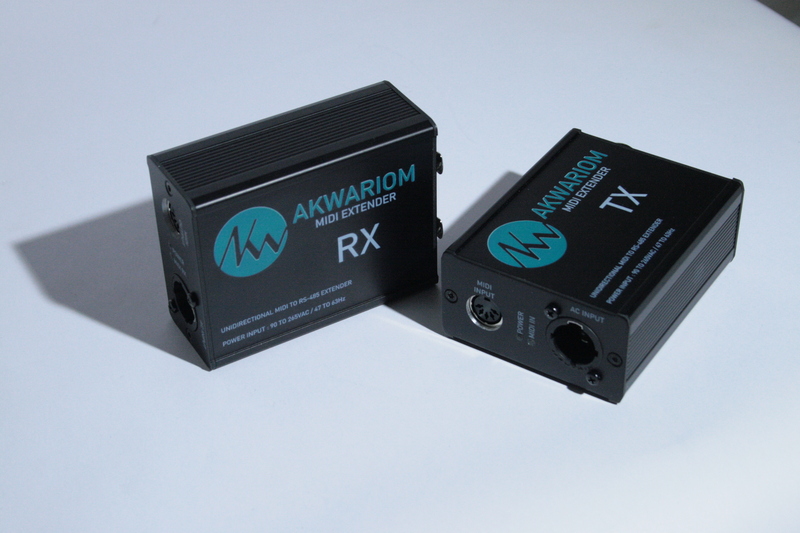 MIDI Extender, allowing to transmit a MIDI signal for over 300m on a simple 100Ohms cable (DMX,AES-EBU, Cat5 Lan, etc..). No digital signal treatment, close to 0 latency. High noise resistance (symetrical signal). One Transmitter and one Receiver box. Universal power supply on ‘’powercon true one neutrik’’ connector.